My SIL Maggie actually first introduced me to Just Love Coffee. There is a couple who is in the middle of an Ethiopian adoption in their church who is selling coffee to their church for use in their coffee bar. Maggie expressed the coffee she had was good DELICIOUS so it provided a starting point to begin contacting the business. 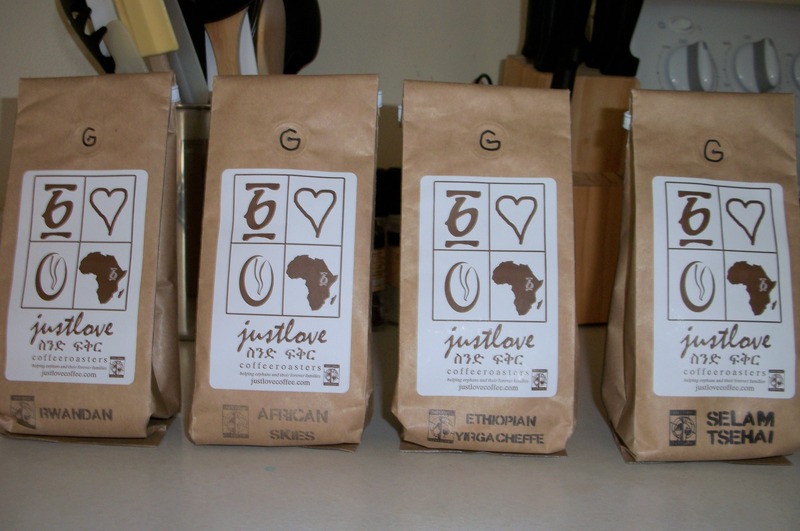 So, needless to say, we are up and running and have ordered our own African Sampler to try the coffee ourselves… We are waiting for an official coffee tasting to brew our order, but just having the ability to smell the AMAZING aroma when we walk in the door of our kitchen is exciting! (To be honest, when I went to the porch to check the mail, I could SMELL the coffee outside of the UNOPENED package!) If only I could post the smell, but you do get a picture of our order….